The most important item in packing for a trip is probably the least used. Placing a dry-cleaning bag between layers of clothing is always a good idea. This limits the chances that the clothes will shift in transit and thus wrinkle inside the suitcase. That’s pretty sound advice, and it’s also one reminder that packing is a science in its own right. The average 22-inch carry-on fits roughly two pairs of jeans, three sweaters, two dresses and five shirts for a five-day trip — and cramming in that much is eminently doable. Cottons, wools and knits make the best traveling companions, as they resist wrinkles the most, and are best placed at the bottom of the pile. Items like T-shirts and jeans don’t wrinkle easily when rolled and belong on the bottom with cottons and the like. Now comes the hard part. Stiffer and longer garments are next, and alternating waists and hems will shorten the pile’s thickness because the waists won’t be competing for space. Shirt collars can then be placed at the hinge of the bag; fold the collars and arms in once. The clothes you’ll need first, like pajamas and slippers, then go at the top. Shoes could cramp your efforts — but a little forethought will minimize the inconvenience of their bulk. Place them heel to toe along the back of the bag, stuffing them with travel-size toiletry bottles, sunglasses or whatever else will fit. Jewelry fits nicely in a pillbox, and breakables, pharmaceuticals and liquor bottles are best wrapped in sturdy clothing and placed at the bottom center of the bag. Don’t forget any specialty foods that are on your diet, like whole flaxseed. If you have allergies to certain foods or are on a special diet, you might pack what you need for that too. Also, practicality figures in prominently: the bigger your suitcase, the more you’ll try to fit into it. Stick with a 22-inch bag so it will work as a carry-on, and edit ruthlessly in terms of what you’ll need. If and when you need something else, you can buy it. Another must-have is a change of clothes for a child and for you in the inevitable event of spills. It’s also a good idea to load your tablet or phone with movies and games — and Play-Doh is a godsend for toddlers. It is also recommended that you pack a bamboo charcoal deodorizer to minimize residual odors in your tightly packed space — it absorbs odor and kills bacteria. 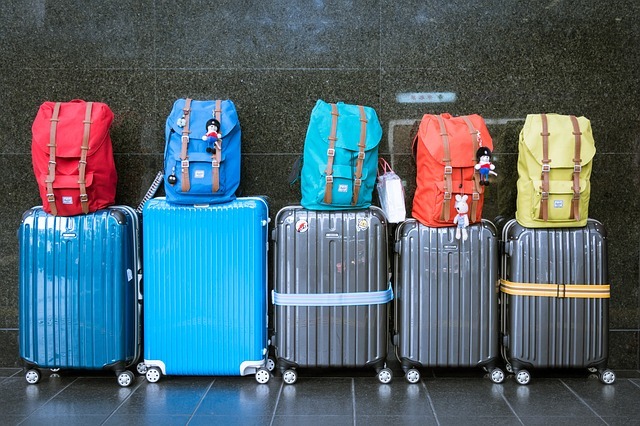 Additionally, placing shoes in handbag dusters will keep the dirty soles away from the rest of your belongings, which doubtlessly will shift somewhat during the flight. Pros also remind travelers that space-saver bags are available; they’re designed to compress clothing so you can fit more items. To use, simply pack, close and roll. If you will be traveling with your pets, you will need to remember everything that they need too. You might need to get them special shots depending on your destination. You will also need to remember to pack their food, any medicine or supplements they need – like CBD for pets. You might even want to bring along some toys for them. How not to forget anything? Pack as much as you can (like most toiletries) early, and mark essentials with notes so they’re imprinted on your memory. You’ll have remembered what you need long before it’s time to pack, at which time your preparations won’t have been in vain.